In the meantime, feast your eyes on this groovy exclusive image drawn by Steve McNiven, which shows some of the characters who will feature prominently in the post-”Inhumanity” status quo. 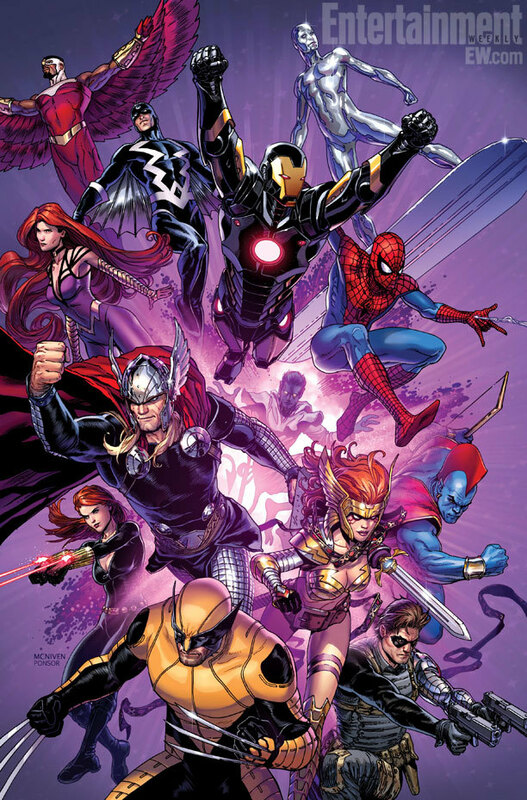 Characters include Nightcrawler, who is or is not dead, Angela, new-look Wolverine, various characters in movies or movierumors of some kind, and Natasha. With con/new book announcement season coming up and after teasing a new Black Widow project back in Februrary, I am beginning to get my hopes up.